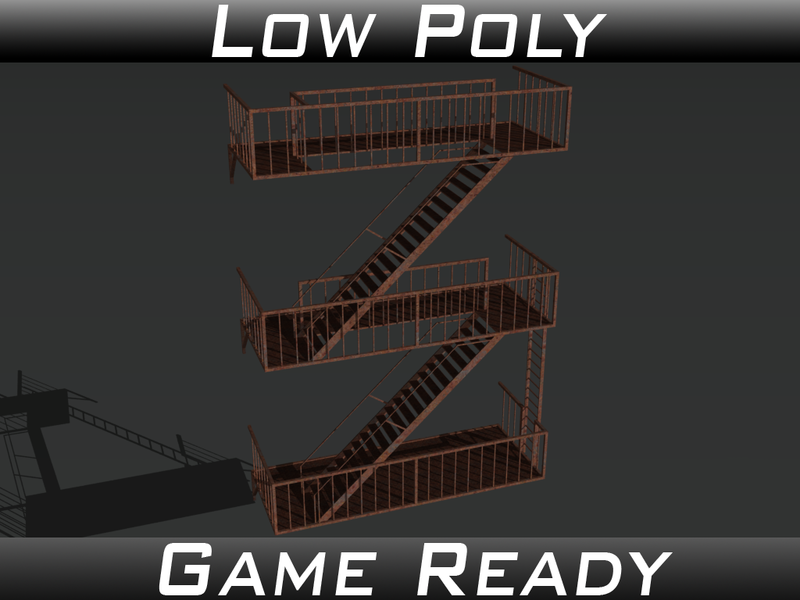 Low-poly 3d models ready for Virtual Reality (VR), Augmented Reality (AR), games and other real-time apps. 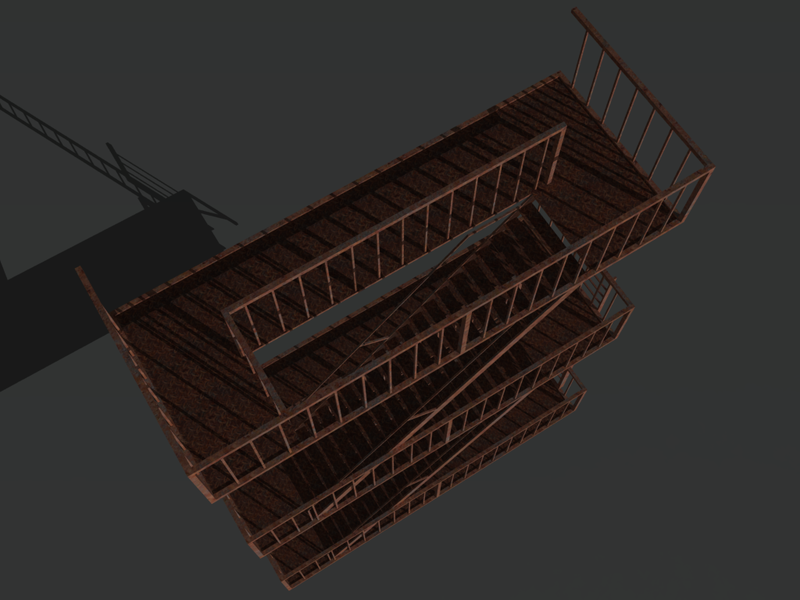 These props use between 1708 and 2626 tris and 2 materials. 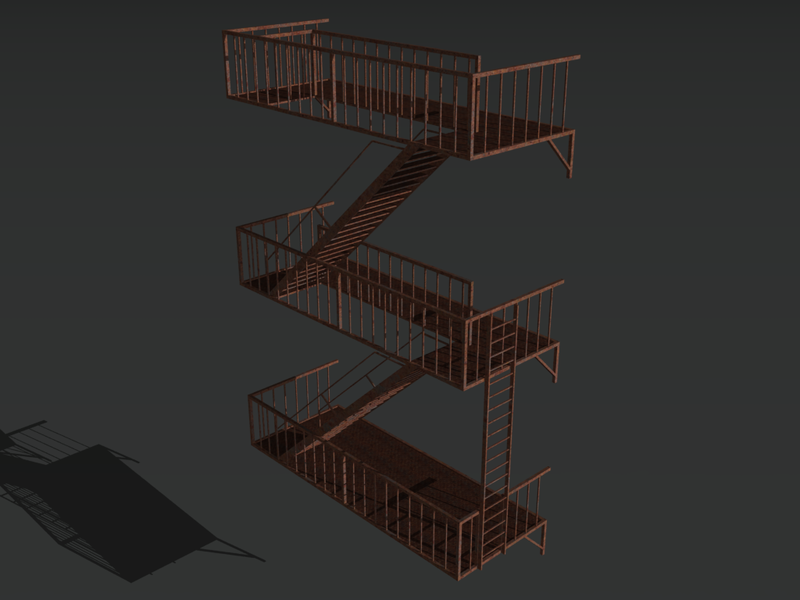 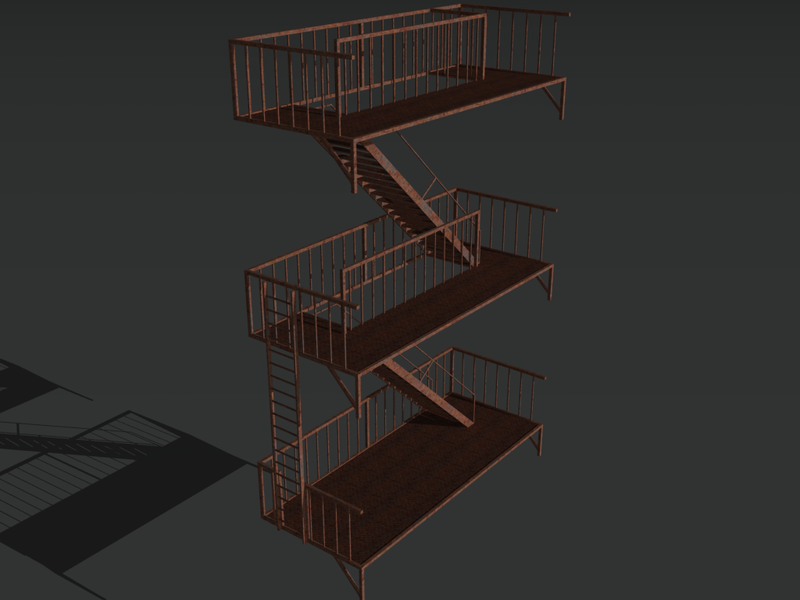 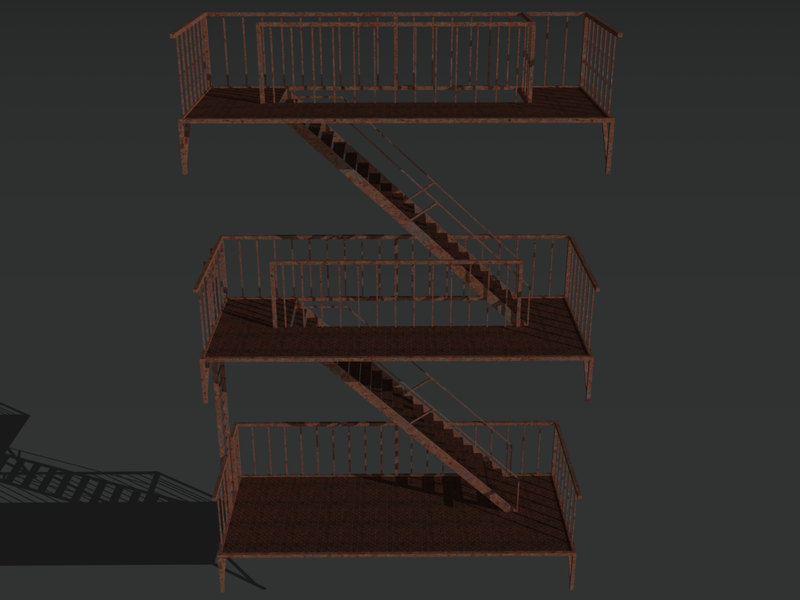 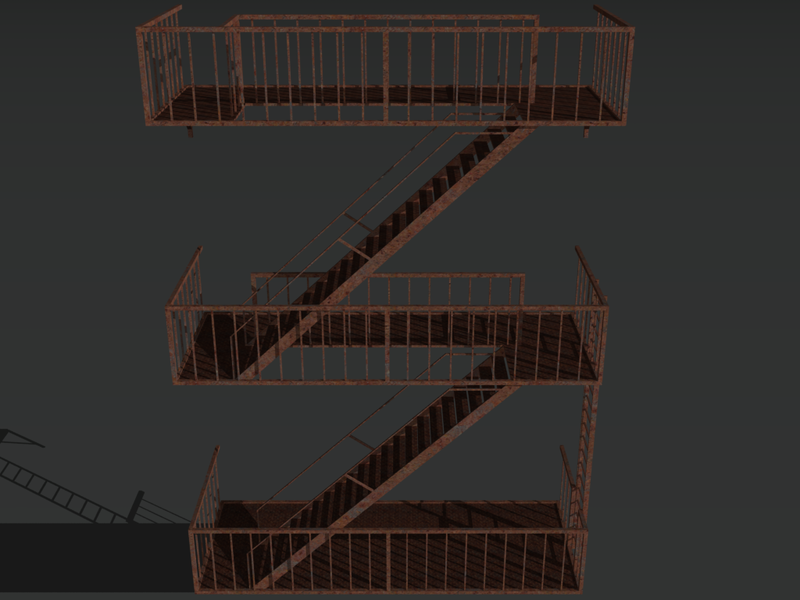 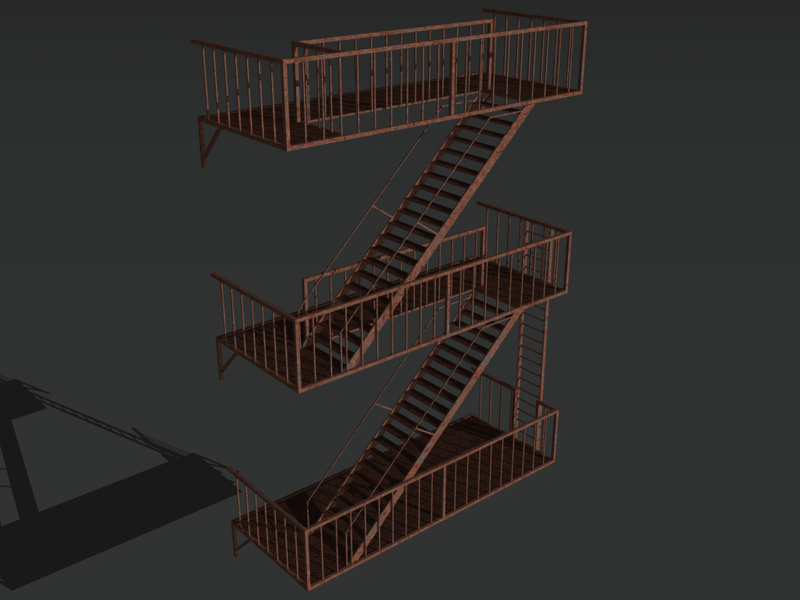 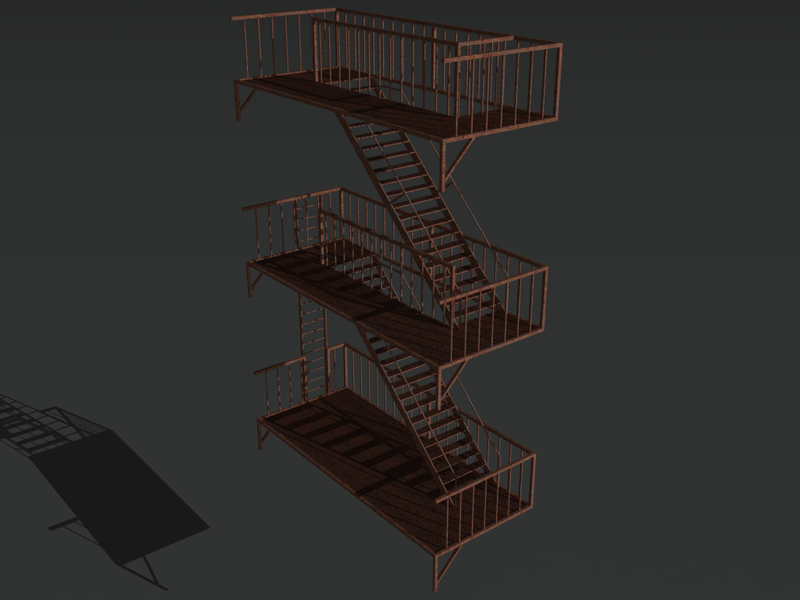 easily make fire escapes of any size from only 2 floors to as many as needed. 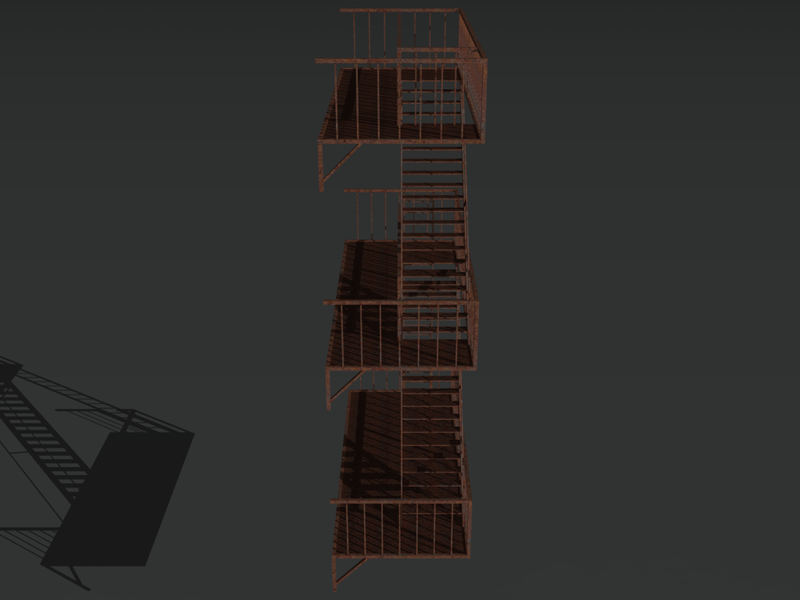 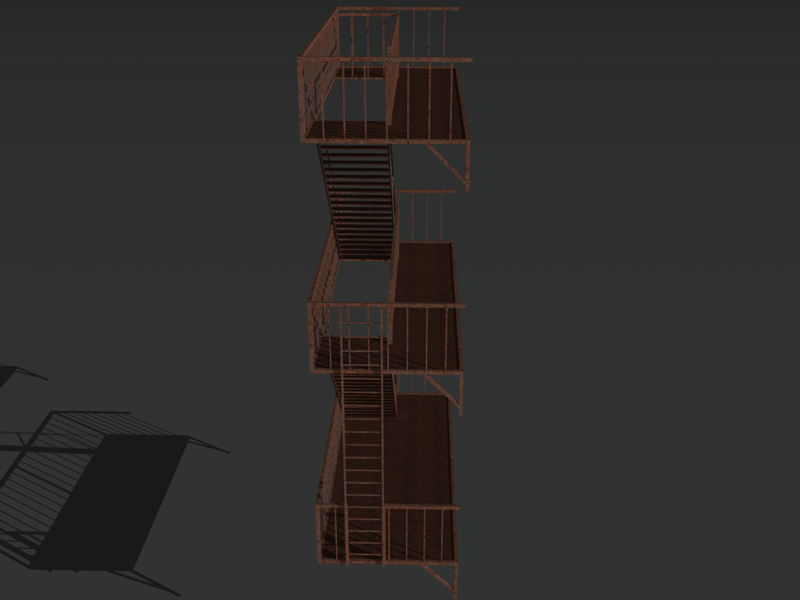 The ladder on the Base prefab is also a seperate object so it can be moved with animation or script to make it interactive if needed.